Rajeev Masand is an Indian film critic and entertainment reporter. He works for Noida based English language news channel CNN-Indian Broadcasting Network (CNN-IBN). He usually reviews Bollywood films and major Hollywood films released in India in his weekend show Now Showing. A graduate from Mumbai University, Masand started reporting at the age of 16 at The Times of India newspaper. He later became assistant editor at The Indian Express. In January 2003, he joined STAR News as a special correspondent and as the host of Masand Ki Pasand. In 2005, Masand moved to CNN-IBN where he is currently[clarification needed] the film critic and runs an ongoing video reviews series on the CNN-IBN website, Masand's Verdict. He also became the host of CNN-IBN's entertainment series, To Catch a Star. He also has a popular YouTube channel, where he posts weekly his film reviews (filmed as CNN-News18's 'Now Showing' segments, which are also posted concurrently to their channel) and regular interviews with key figures in the entertainment industry (both Indian and occasionally International), mostly actors and directors. 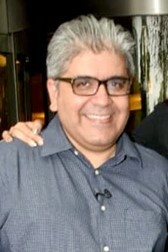 Additionally, he writes as an entertainment-industry columnist for several publications, such as Open Magazine, Firstpost, News18, and for his own website, Rajeevmasand.com. Among other recognitions, Masand was thrice awarded ‘Best Entertainment Critic’ by the National Television (NT) Awards, in 2008, 2010 and 2011. Masand was a guest speaker at India Film Project in 2018 where he discussed about a critic's job and the role of criticism in the 'Insta Generation' along with Vikramaditya Motwane and Baradwaj Rangan. ^ "Rajeev Masand". News18. Retrieved 12 October 2017. ^ Rajeev Masand Retrieved 12 October 2017. ^ "Rajeev Masand Introduction". STAR News. Archived from the original on 21 September 2008. Retrieved 20 August 2008. ^ "Film Reviews: Masand's Verdict". IBNLive. Archived from the original on 27 October 2008. Retrieved 20 August 2008. ^ "CNN-IBN lines up various specials to bied adieu to 2006". Indian Television. 30 December 2008. Retrieved 12 October 2017. ^ "CNN-IBN to launch third season of To Catch a Star". Indian Television. 20 August 2008. Retrieved 12 October 2017.